What is said about Cathedral Peak Golf Course? Can we claim ‘in the Mountains’? The search is on. What are the criteria for claiming ‘in the mountains’? Of course we’ve Googled, and we’ve spoken to the smartest people we know. We haven’t managed to find a definitive answer, yet. However, it’s become a project of our Marketing Team to find someone who can help us discover the criteria for claiming ‘in the mountains’. 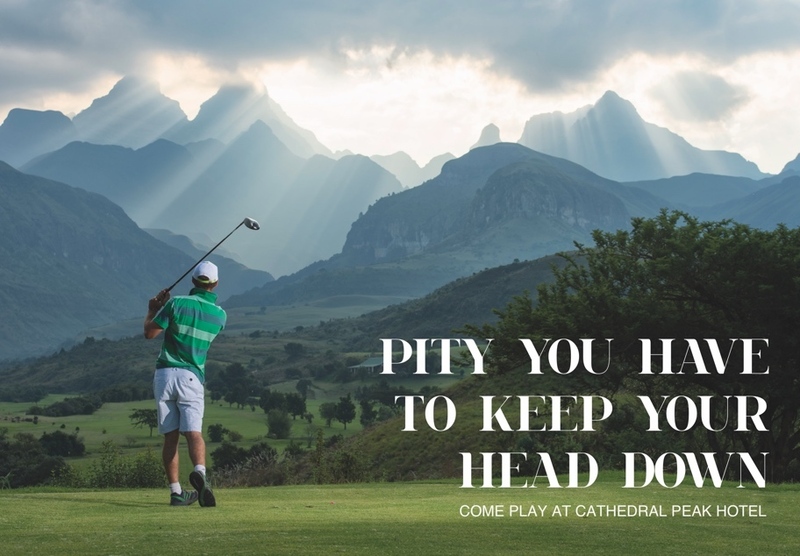 Until then we’ll leave it to the opinion of the Golfers who enjoy a spectacular round of Golf on what could be South Africa’s only Golf Course in the Mountains…..